Application Programming Interfaces (APIs) connect your business processes, services, content, and data to your partners, customers, and internal teams in an easy and secure way. In other words, APIs are a digital glue and the foundation of the digital economy. 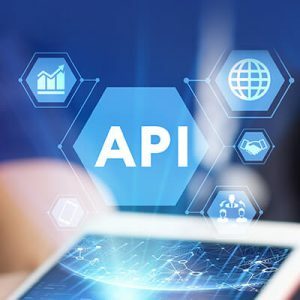 Enterprises are achieving a number of things with APIs, including using them as an endpoint for application development, and as a new business model for B2B innovation. The combination of architecture and integration with a digital business platform is the key to successful API management — but only if facilitated through an API management platform as it will give your digital transformation strategy an edge. When it comes to APIs and applications, the concept of ‘management’ is often misconstrued. Some talk about management as if it was a dashboard. When we think of it, it’s the entire lifecycle of your API usage and existence. There’s an entire spectrum of issues around development, management and security that need to be addressed just like a product. Your API is, after all, the key element of your online business (whether you’re dealing in data, financial transactions, or communication), and it needs to be treated like something that is created, re-tooled and deployed. the main stages, or milestones, of the life of an API Service. From a governance standpoint, the process of moving an API Service from one stage to another is called a transition. attention on the processes to be implemented before the start of a transition and after it ends. Organizing roles, responsibilities and processes is key to delivering good governance. Depending on the maturity of your organization, there may be one person handling all these responsibilities or there may be multiple people doing so. Visually or programmatically specify the data needed for your API endpoints. Combine and normalize data from multiple sources. Convert legacy formats (e.g. XML) to other consumable formats (e.g. JSON). Auto-generate docs and code-snippets for models and API operations. Instantly deploy APIs to the target environment with zero setup effort. Manage access to API and protect the quality of service via rate limiting and SLAs. Establish and enforce enterprise policies for security and firewalling APIs. Auto-scale infrastructure up or down to run your sever-side apps. Market to internal groups, partners or the general public via a central API catalogue. Self-service access for developers to browse APIs, their attributes and documentation. Execute API operations or out-of-the-box services from a client app. Track utilization and apply rate plan policy to generate API revenue. Each stage in the lifecycle provides specific value, which ensures application building blocks provide desired business outcomes. API Lifecycle Management takes an API from concept to delivery, and it includes some critical elements to organizations who want to deliver relevant applications to a needy marketplace. Anyone can pull together data, package it and deliver it in an app. But it is a different league to provide something that the market wants: it’s got to be useful, it has to be reliable and based on secure sources as well all that data has to be delivered where the user is – in the cloud, through enterprise deployment, or in a mobile environment. Embracing modern DevOps-centric processes and tooling is critical to reducing time-to-production, and this should apply to your API Framework as well. Once the API has been assembled and tested, deployment should be as easy as the click of a button. It is key to use a hybrid integration platform that is lightweight, easy to install, and suitable for workflows. Otherwise your approach won’t scale. Be prepared for a rapidly increasing demand once the organisation grasps the concept. SEEBURGER provides enterprise-grade API Lifecycle Management, a solution on top of our Business Integration Suite (BIS) Hybrid Integration Platform that will help extend the functionality of services, and manage the complete process of strategy, development, deployment, versioning and retirement of APIs. It can be deployed on premise, hybrid or in the cloud. Click here to learn more about how SEEBURGER can help you manage your API’s. API Product Manager of SEEBURGER, a global market leader in business integration software. 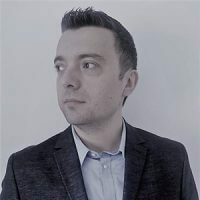 Jan has more than 10 years of global business and technology experience working with product and solution delivery of enterprise application integration, EDI, B2B, MFT, API, Analytics, Digital Transformation, both on premise and in the cloud.